What do the Saint's say about Islam? Islam is a Lie! Jesus Christ is the Truth! The Islamic ideology began with Muhammad as the instrument of his mentoring 'angel' who approached him in about the year 610 AD when he was about forty years of age. The 'angel's' mentoring continued for 23 years and his teachings were written down and formulated to become their 'holy book', the Quran. So, in the light of the ancient Scriptures which numerously attest to the Messiah's Divinity, along comes Muhammad's 'gabriel' with his contradictions: "The Messiah, son of Mary, was no more than an Apostle." (Quran 5:75) "It is a monstrous falsehood to say God has begotten a son." 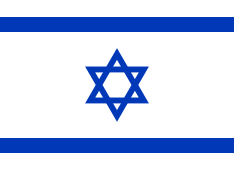 (19:88) "Unbelievers" say, "God, is the Messiah, son of Mary." (5:72) "Unbelievers shall become fuel for the fire." (3:9) "Unbelievers say God is One of Three." (5:73) "Who disbelieves OUR revelations shall become the inmates of hell." (5:86; 22:49) "The only true faith in God's sight is Islam." (3:19) The Quranic 'angel' here claims Islam has now supplanted the Divinity's own ancient historic religion. 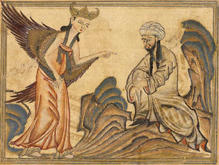 Muhammad's angel's CONTRADICTIONS of the true Angel Gabriel clearly reveal him to be NOT Gabriel, but a lying deceiver, with Muhammad as his vulnerable victim . The "Father of lies" is Scripturally attested to be Satan, (John 8:44) who can appear as "an angel of light", (1 Corinthians 11:14) " sufficient, if it be possible, to deceive even the elect of God. " (Mark 13:22; Matthew 24:24) This deceiver's lies and contradictions clearly expose him to be God's Satanic adversary. Until Islamists can be brought to recognise Muhammad was duped from the beginning by a lying, masquerading 'Gabriel impersonator' , whose intent was to challenge the veracity of the Divinity's own ancient prophesied Messianic religion, by introducing a false counter-ideology into the world, Islamists will continue to live the deceptions of an ideology always capable of spawning a militant arm of lethal radical terrorism. This 'angel's' deceits are the problem, NOT the Islamist! angel's deceptions which hold them bound. All of this should have been clarified for Muslims centuries ago. To this end, refer to the suggested: 'Papal Universal Address' on website: www.islamandthemessiah.com.